First we begin with the exterior. It correctly represents all of the features of the exterior including the chrome mask on the front, the lip spoiler on the back and etc. The door handles are also quite detailed. The stance of the model is also spot on. 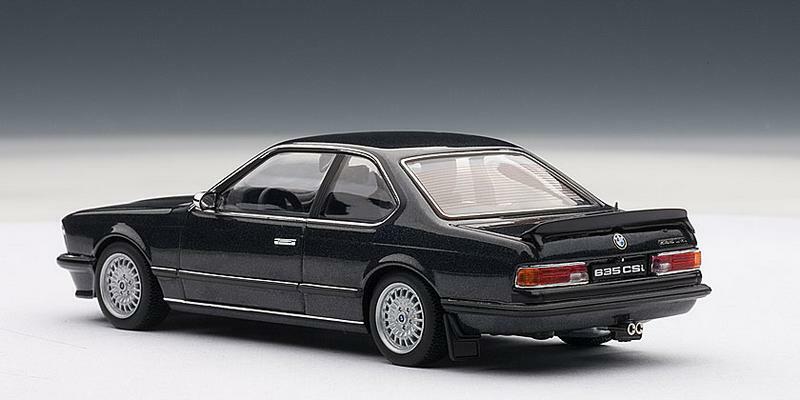 The ride height is very well captured as are the wheels which are superbly made. Around the back the quality story continues. 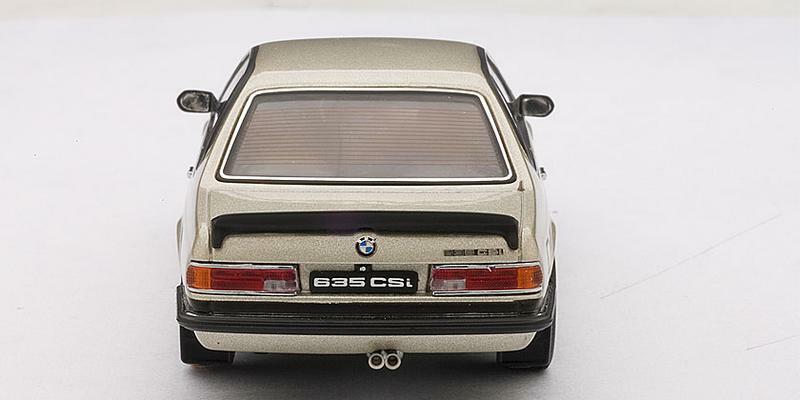 The taillights are well made, the spoiler is a separate piece which is also nice, especially when the build quality is high. The model also has an opening engine bay. Lift the bonnet and a modest, but still impressive engine will greet you. It has all of the major components in and looks pretty good as long as you don’t get too close to the engine say with a magnifying glass. The interior is also quite good and it is almost a shame that you can’t open the doors and admire it some more. But what you will be able to see through the windows will please you. 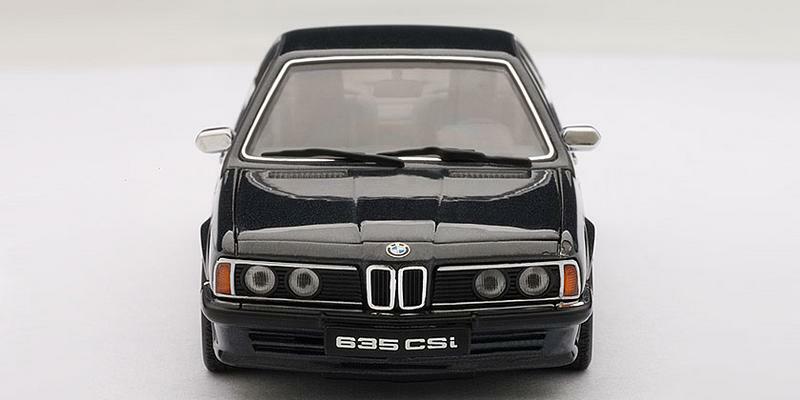 Unlike some 1:43 models, the BMW 635CSi has a fully detailed underside. It is not functional but just to see all the parts and get a better, more realistic feel of the model is enough. 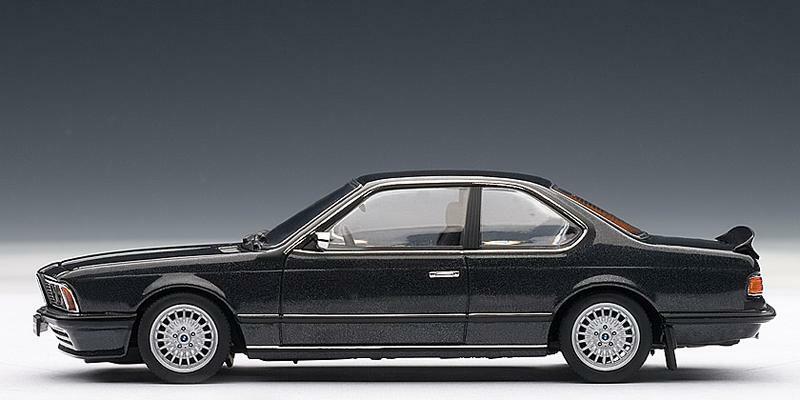 Overall the 1:43 AUTOart BMW 635CSi is a great model. It offers a decent amount of quality and details, and it is easily available almost everywhere which is great. We want to thank you for your time and for visiting us. Part one is here.